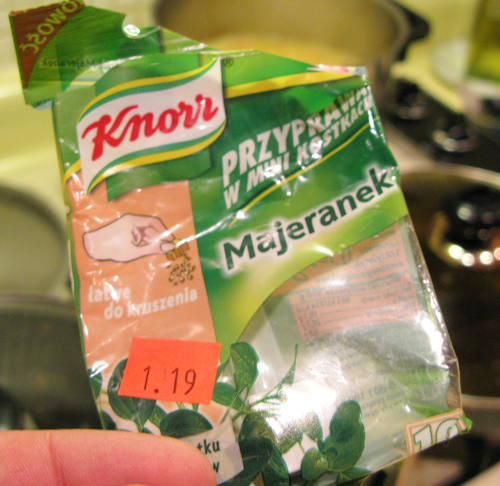 This was a soup I ate quite often as a kid. 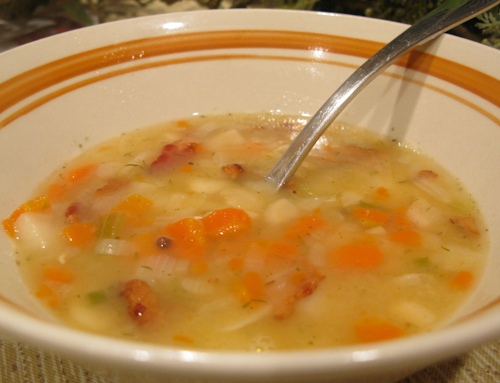 Though soups are a major part of Russian cuisine, I wasn’t very fond of them as a child. Over the years though, they’ve grown on me, and the Fasol Soup has become one of my favorites. 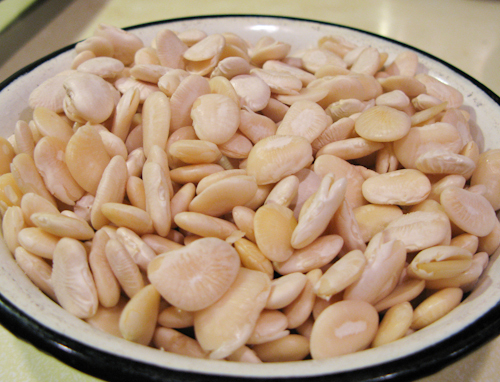 Before starting on the soup, wash and soak the kidney beans in some water for at least an hour. 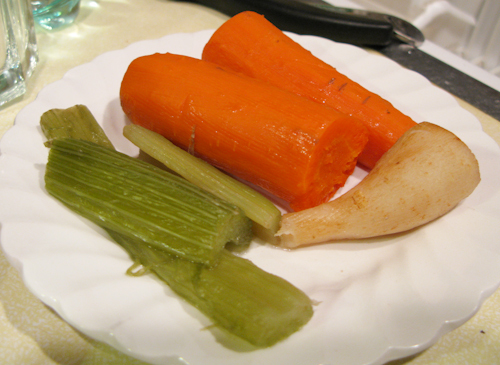 This will start to soften them up and will decrease your overall cooking time. 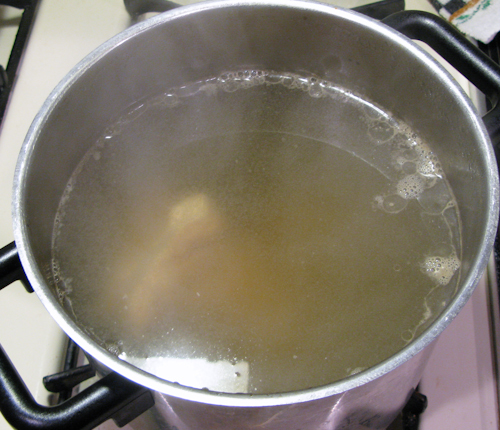 For this, and most other soup recipes, we make our own meat stock. 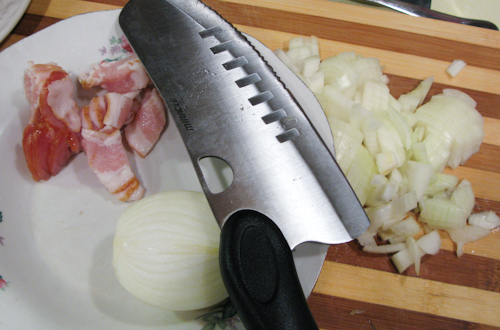 In this case it is identical to the one we prepared for Borscht. If you don’t want to make your own, you can start with store-bought. 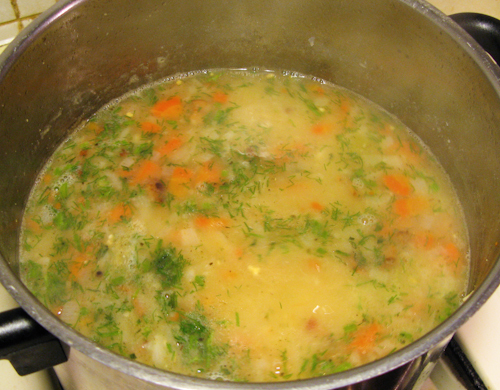 Bring it to a simmer, and add the beans, potatoes, parsley root, celery, and carrot. Stir thoroughly and use this opportunity to add the spices. Salt and pepper to taste, we also like to add some vegeta seasoning, and the polish herb Marjoram. 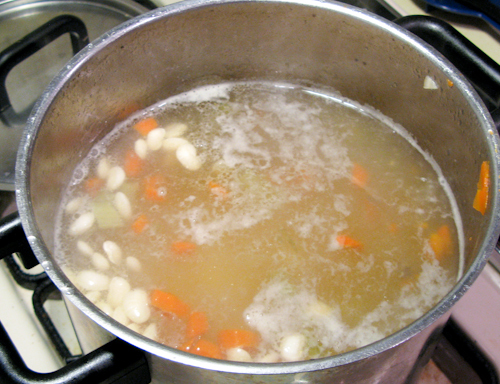 Keep the soup on a simmer until the beans are fully cooked. They should be soft and melt in your mouth. 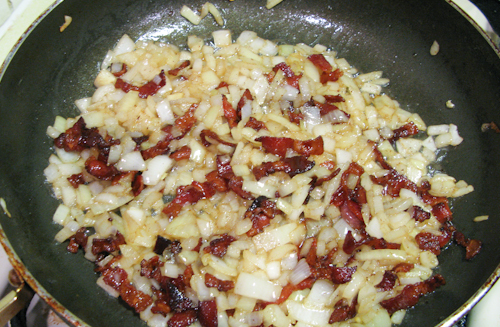 5 minutes before turning off the heat, add the finely chopped dill. Posted in: appetizer, Beef, Chicken, Pork, Potatoes, Soup. 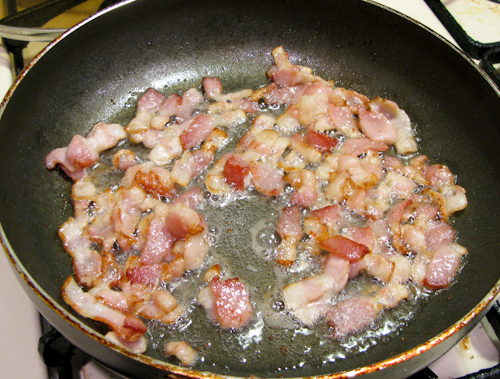 you like your bacon, dont you? 🙂 The soup looks delicious! Of course, it makes the world a better place. So thankful to find your sight. 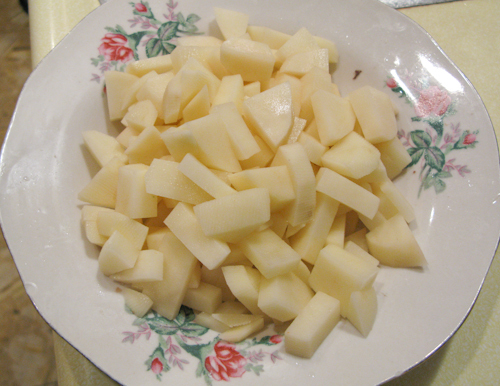 Live in Slovakia right now but spent a year in Russia and LOVED the food. So happy to be able to make it myself now. And living here gives me easy access to a lot of the ingredients.